Despite four decades of development planning, at least one third of the urban population of Africa, Asia and Latin America remains poor. Over 600 million live in 'life and health threatening' homes and neighbourhoods because of poor housing and inadequate or no piped water, sanitation and health care. But even as the shortcomings of government and development programmes become more apparent, so do the untapped abilities of low-income groups and their community organizations to develop their own solutions. This book analyses the conditions necessary for successful community initiatives and includes case studies of 18 intermediary institutions (most of them Third World NGOs) who provide technical, legal and financial services to low-income households for constructing or improving housing. Many also work with community organizations in improving water, sanitation, drainage, health care and other community services. 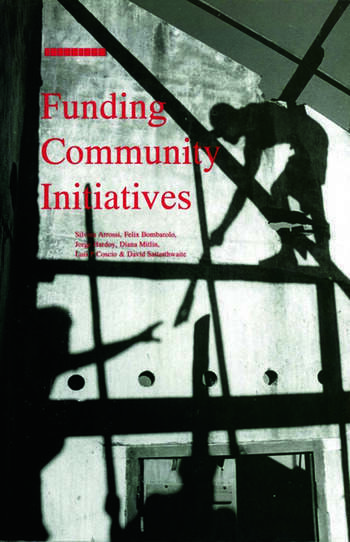 Through the analysis of innovative financial systems for income generation, house construction and service provision, Funding Community Initiatives considers the feasibility of loans for addressing current urban housing problems. It also considers how to increase greatly the scale and effectiveness of support going to low-income households and community organizations. This book will be of interest to students and professionals concerned with urban development in Africa, Asia and Latin America, especially those concerned with low income shelter and community finance.